As anyone who even mildly uses the Internet undoubtedly knows, the Federal Communications Commission (“FCC”) voted yesterday to repeal net neutrality. “Net Neutrality is the principle that Internet service providers [(“ISPs”)] must treat all data on the Internet the same, and not discriminate or charge differently by users, content, website, platform, application, type of attached equipment, or method of communication.” Net neutrality was a regulation adopted by the FCC three years ago on the supposition that ISPs like Comcast, AT&T, and Charter would theoretically be able to charge for different types of internet packages similar to how we pay for cable. Net neutrality proponents argued that we could be paying more for having high speed internet or accessing certain websites and applications like Facebook, Netflix, and Spotify. The repeal of net neutrality is troublesome to some but may have legal implications as well. Some worry, for instance that if someone defames you online but you don’t have paid access to the website they are defaming you on, it would be more difficult to obtain access to the content? What will result from an inability to monitor and protect your trademarked brand or copyrighted work if infringement is occurring on websites that you have to pay more to access? Could cybersquatters start to run rampant registering domain names that are likely to cause confusion? 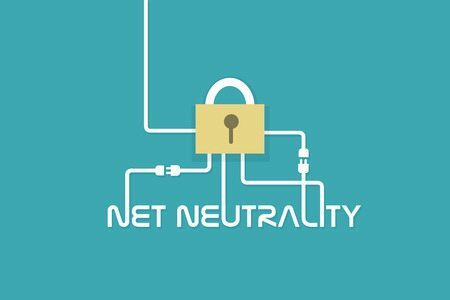 The legal questions are endless and cannot be fully evaluated until an internet without net neutrality is a reality, even though those in favor of the repeal argue that none of these issues were occurring before the enactment of net neutrality regulations in 2015. Despite all the hype, we likely will not see changes to the way we access and surf the internet for a while. The fight for net neutrality is far from over as several States, including Illinois and Iowa, have already declared their intent to appeal the FCC’s decision. There could be months of court battles before a final decision is rendered. Traverse Legal will continue to monitor for updates on net neutrality as more information comes to light and its impact on the legal issues facing you and your business.